Here’s Trisha Mills, a 2014 SHOUT OUT! Cast Member! TRISHA MILLS is a Kaneland graduate who has many fond memories of her education in the school district. So much so that she is currently raising 3 more future Kaneland High School graduates. Trisha has played many different roles within the Kaneland Arts Initiative. On stage, you may have seen her as the Queen in Rogers and Hammerstein’s Cinderella or as the Butler in Joseph and the Amazing Technicolor Dreamcoat. She is thrilled to be on both the planning committee and the board of directors for the Kaneland Arts Initiative, as she loves the Arts and supports it in any way she can. Trisha lives with her husband, Steve, and their 3 daughters in Elburn, where she has managed a local dental office for the past 20 years. Let’s learn a little more about Trisha with her answers to the following questions! If you are already employed, what do you do? I’m a manager of a local dental office. What subject in school was your LEAST favorite and why? Physical Education, because I’m pretty clutzy! What excites you the most about education? I love watching my kids, nieces, and nephews work their way through the levels and stages of school. 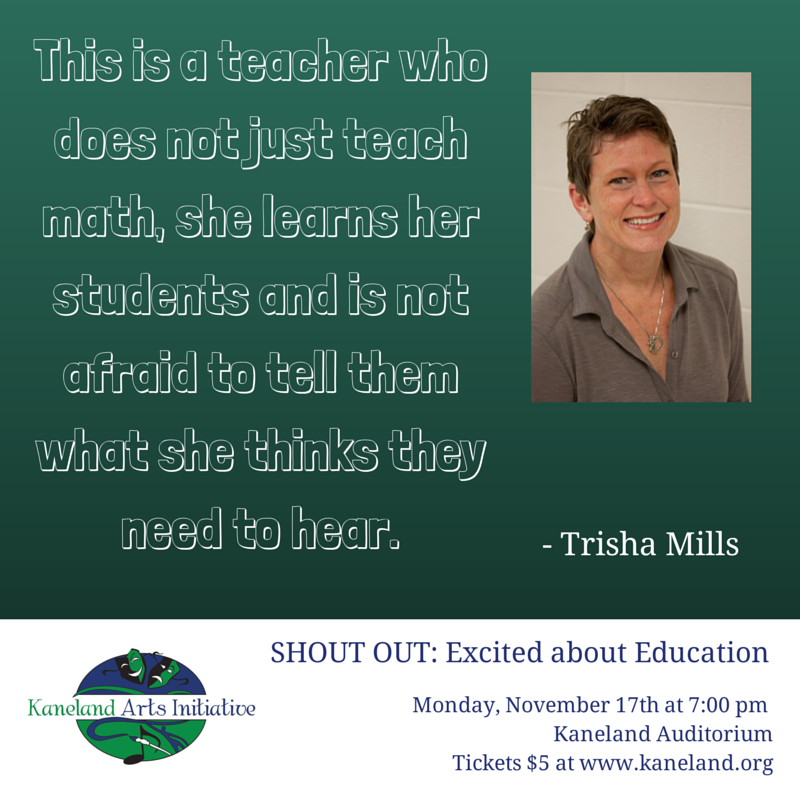 We hope you’re as excited as we are to hear Trisha tell her story, Just a Moment, on Monday, November 17th at 7:00 pm in the Kaneland Auditorium. All tickets are $5 at www.kaneland.org or at the box office.